You thought Grand Theft Auto V’s firefighters were bad? The police would like to have a word with you. 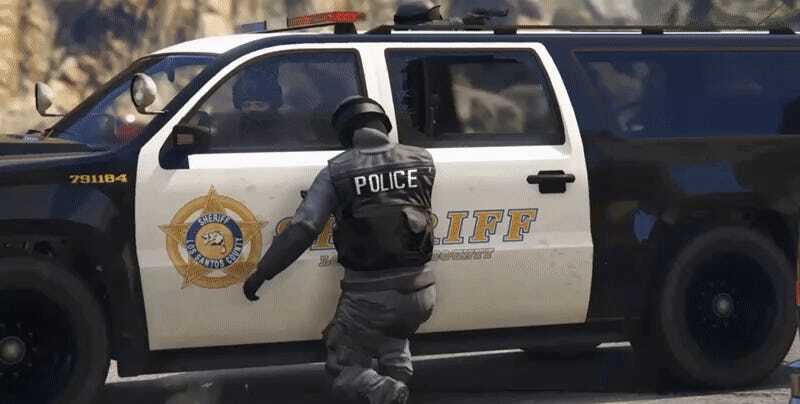 Documenter of incidental GTA chaos and disaster artist extraordinaire Merfish turned the police into their latest muse. 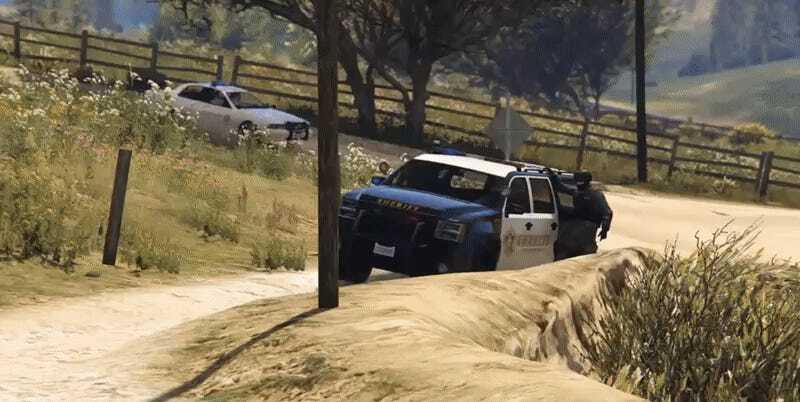 Unlike GTA V’s firefighters, the police had to be provoked a little, but once they turned aggro, things quickly spiraled out of control. Obviously I’m gonna need you to share your GTA V cop stories now. You should probably get to it, unless you want these poor virtual officers to harm themselves even more while struggling to arrest you.